Pardes Institute hosts Dr. Levmore for engaging Prenup lecture! Home » IYIM NEWS AND EVENTS » Pardes Institute hosts Dr. Levmore for engaging Prenup lecture! As in previous years, a presentation was made to the entire student body and faculty of the Pardes Institute for Judaic Studies. The students who study there hail from various countries around the world, from all religious streams, with the majority from English speaking countries. As part of their mission upon returning home, the Pardes Institute sees it to be of vital importance that the students understand the agunah problem thoroughly and take upon themselves to promote prenuptial agreements in their societies. 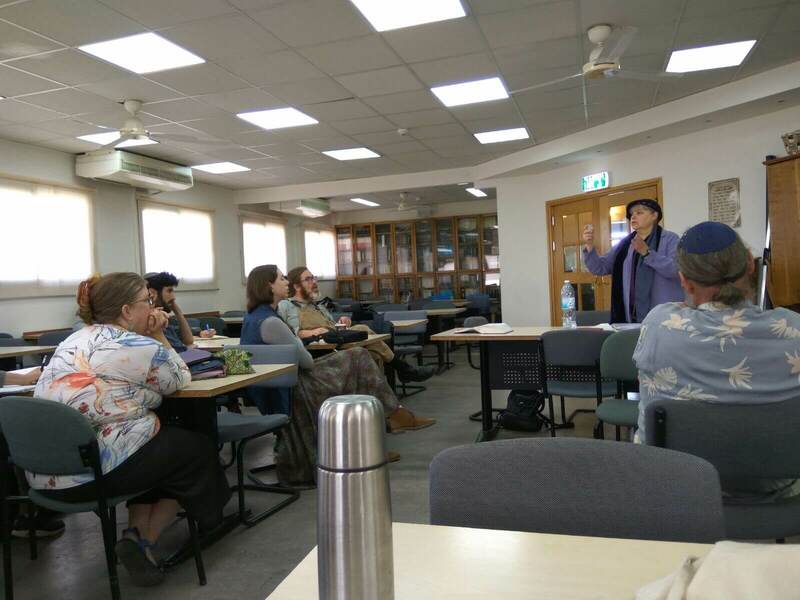 IYIM’s Director of the Agunah and Get-Refusal Project, Dr. Rachel Levmore, presented a lecture which was entitled “Prenuptial Agreements for the Prevention of Get-Refusal: One Solution to the Worldwide Problem”.